Review - Murphy USA Cheap Gas Audit | A Savings WOW! 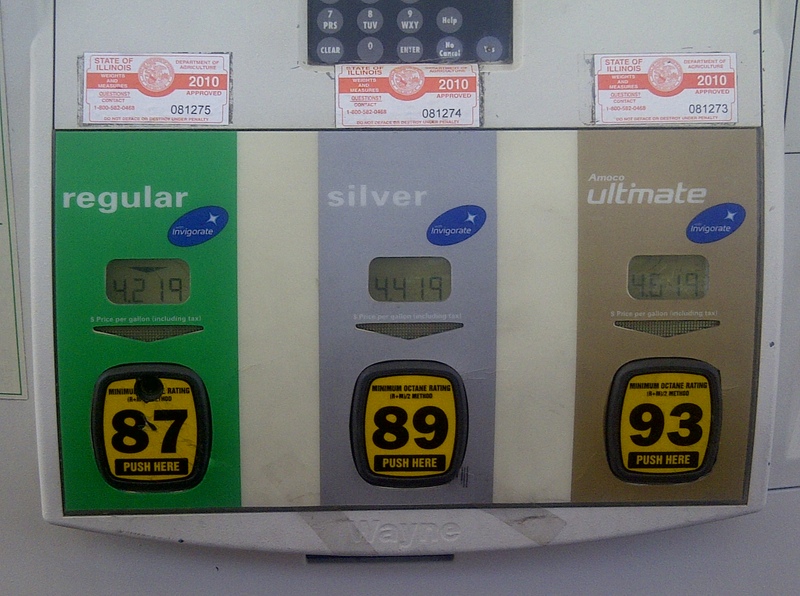 As part of a cheap gas audit, we visited different gas stations around Oswego, IL, to see how they compared to Murphy USA. Before leaving, we visited Murphy USA’s website here to see if there were any special offers. We printed out the coupon for a free 22 oz. beverage. Then we headed out to Walmart in Oswego, IL. Once there, we purchased a $40 Walmart Shopping Card. We saw that select drinks are on sale for buy 2, get 1 free. 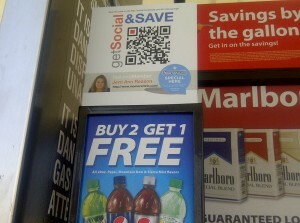 We also saw the QR Code for “Get Social & Save.” It was great to see a fellow blogger that we met at the 2010 Disney Social Media Moms Celebration on there, so we scanned the QR code. 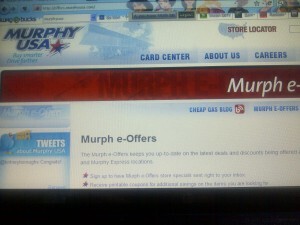 It took us to the Murphy USA Mobile Site here. 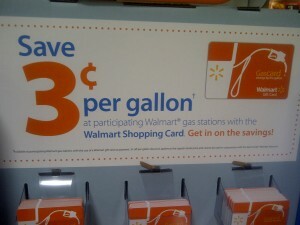 We also noticed that if you use a Walmart Credit Card for your gas purchase that your savings would be $0.05 instead of just the $0.03 when you use a Walmart Shopping Card. With gas prices the way they are right now, every little bit of savings helps! 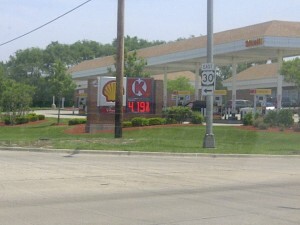 It was $4.17 per gallon at the Meijer location for Unleaded gas. 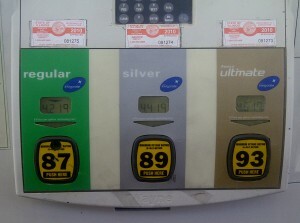 It ws $4.19 per gallon at the Dominick’s location for Unleaded gas. 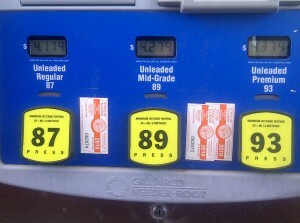 You could get a $0.03 discount per gallon by using your Dominick’s Fresh Values Card. It was $4.21 per gallon at BP for Unleaded gas. It was $4.19 per gallon at the Shell location for Unleaded gas. 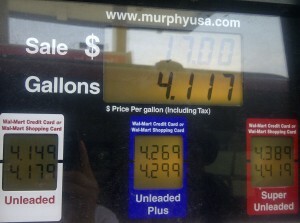 Overall, we got the best deal at Murphy USA, especially when we used our Walmart Shopping Card to make our gas purchase. The main thing that would have made it a better shopping experience for us would be if they accepted our Murphy USA e-offers coupons. However, the attendants in the shop were very helpful and polite when we asked them about it. Other than that, we had a very pleasant shopping experience and did not encounter any problems during our trip to Murphy USA. We get our gas there regularly and would highly recommend them to others. Disclosure: This shop/project has been compensated as part of a social shopper insights study for Collective Bias. All views/opinions are our own. Thanks for reviewing our gas station. 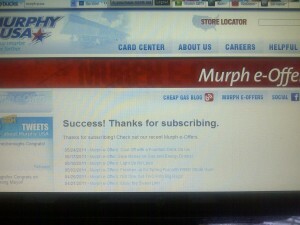 I am very sorry that you were unable to use your Murph e-Offer coupon. I’m going to follow up with the store to make sure that all of their employees are trained on the proper procedure. They have the best prices!!! 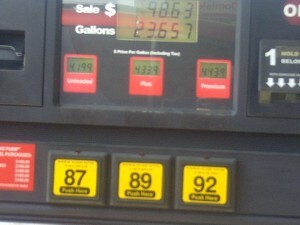 Murphy USA/Walmart fuel prices are competitive, but I just wanted to say Murphy USA fuel quality is superb. I have exclusively used their gas for years from a nearby Walmart in Texas for my wife’s 11 year old car and my five year old truck and I am more than pleased with its quality and performance. Last year I gave my truck its first tune up and the mechanic complimented the cleanliness of my engine.